abi was standing in the door, looking at us condescendingly while we were discussing acoustics, the microphones used and distortions. A moment before we had finished our first round of listening sessions and each of us was enthusiastically trying to convince the others that he was right. We paid the most attention to what Edwin was saying – in the end, we were talking about his cables. He was also the one with the best theoretical background. However, it was Gabi who brought in some air and distance to the meeting. In her opinion, we were “boys who, instead of listening to music and savoring it, were playing with toys for adults”. Well, there is no denying – “boys will be boys”. As far as we were concerned, apart from wine and snacks, we could offer practical experience. It seems that such a combination was optimal. So, the visit which took place during the 97th meeting of the Krakow Sonic Society, on a sunny afternoon in Cracow, can be regarded as successful. I hereby introduce Gabi and Edwin van der Kley, or Mrs. Crystal and Mr. Siltech to you. Family companies are not uncommon, also in the audio industry. It is a small industry based on handicraft and serried groups of engineers, driven by passion (if it is not so, woe betide us!). Like in the domain of music, which is ruled by multi-generational clans, also in our industry it is not difficult to “infect” a spouse or children with passion. In the case of Mr. and Mrs. van der Kley, things have evolved a bit differently– both Gabi and Edwin have their own companies – Gabi is the managing director of Crystal Cable and Edwin runs Siltech. Both brands operate within the International Audio Holding BV company. Both of them target their products at a slightly different audience. However, there is also a horizontal division of responsibilities – Edwin is in charge of technology in both companies, while Gabi deals with sales, PR, and contact with distributors, dealers and the media. Apparently, working in tandem has been beneficial for them – the companies have been constantly growing, year to year by 20 – 30% for the last several years. Only once, at the beginning of the crisis, there was a growth of 0%, while some years ago the year-to-year growth of the Siltech company was at the level of 100%. It resulted from the development of a formula for a silver conductor with silver molecules filling the spaces between silver crystals, subsequently called the G3. I think we can admit that this is success, no matter how we measure it. The meeting that I am talking about focused on the greatest achievement of the Siltech company – the Triple Crown interconnect and speaker cable. Siltech is representative of a small group of cable manufacturers that do everything on their own, from start to finish, in their own factories. Investments of hundreds of thousands of euros have led to the company’s full independence and have made it possible for the owners to carry out their own projects. As Gabi said, each new cable has a few or sometimes more prototypes, from among which the best ones are chosen and another selection is conducted. That would be impossible if production was outsourced. It all starts with a technological basis. Edwin is an engineer who specializes in measurement and leaves nothing to chance. As he said at the beginning of the meeting when he was presenting his new cables to us, at present we can measure almost everything and we can understand a lot of it. He said that referring to cables as “voodoo” is utter nonsense and results from deficiencies in education. As an engineer with many years of experience in another industry, he deplores the limitations of academic education lacking adequate practice. Besides, Edwin said that a great majority of academic textbooks related to the audio industry were published between 1930 and 1950 when the industry was forming. At that time it was believed that a human being does not hear distortions below 0.5% or cannot differentiate slight fluctuations in volume, etc. It has proved not to be true. The audio industry has been supported by related sciences, such as anthropology and psychology. The explanation is that we are evolutionally adapted to detecting minor abnormalities of sound, whereas other anomalies, even of a high amplitude, are not especially important to us. That is why we so readily accept distortions of a few percent characteristic for tube amplifiers and we cannot stand slight phase shifts caused by cables. So, we already know a lot and we will know even more. We only need to forget a large part of what we were taught at school, as the knowledge is now outdated. The top cable Siltech system – the Triple Crown – has been based on knowledge and experience. It includes the first mono-crystal type of a conductor , i.e. completely without crystal structure, and the first XLR and RCA type plugs in the world, made by a Swiss watchmaker. The former can be turned, each by 90º (together by 180º), so there should be no difficulties with connecting them to different components. Everything has been thought about, including the method of fixing conductors to pins in plugs – Siltech uses its own method of clamping or this purpose. The company used to use silver solder and then ultrasonic compression, but each of these methods was problematic in its own way. At present, conductors are pressed in a special machine without using solder. It took the company two years to develop the cables, even though the excellent Double Crown series constituted a basis for the Triple Crown series and Edwin did not start from scratch. Our guests at the 97th meeting of the Krakow Sonic Society were Gabi van der Kley-Rijnveld and her husband, Edwin van der Kley. 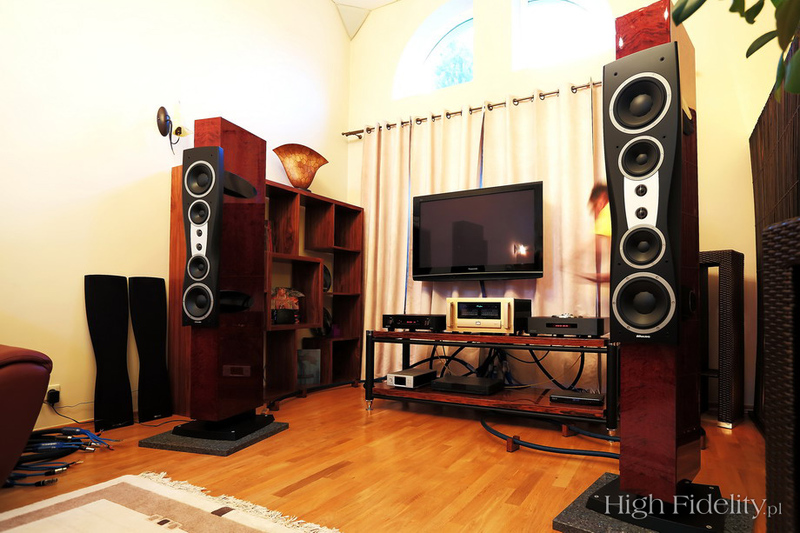 Our aim was to listen to and to assess an interconnect and a speaker cable from the Triple Crown series. First, we wanted to listen to what their creator would say about them and then compare them to what we know well, i.e. cables from the Double Crown series. The system that we used should be well-known to “High Fidelity” readers, because all recent meetings of the KSS have taken place at Tomek’s. It is also where we have lately welcomed all our guests who, on the occasion, just like Gabi and Edwin, became honorary members of the Krakow Sonic Society. When Gabi was picking up her certificate, she was clearly moved and she said that although she had been in the audio industry for so long (she is a musician by education), that was the first time she had become a member of an association connected with music reproduction. 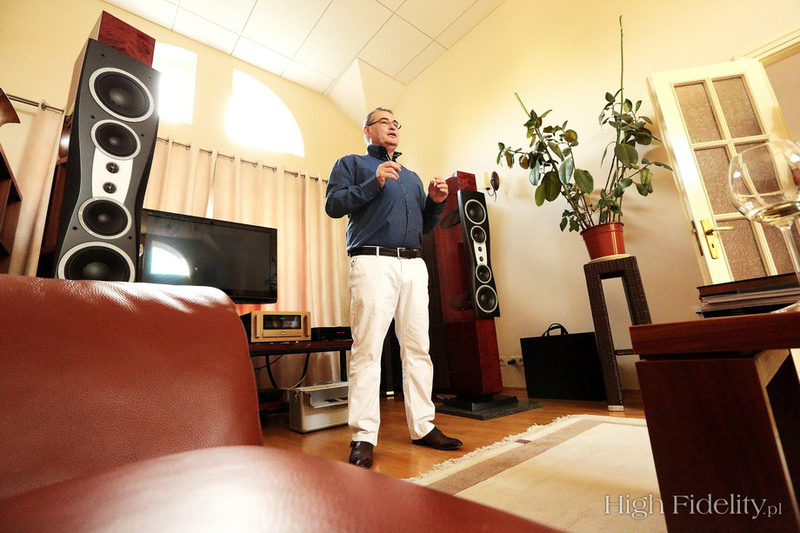 Tomek’s system sounds very coherent and Edwin emphasized a few times that he had not expected such good sound from a combination of Dynaudio and Accuphase devices. Although it is, of course, possible to improve it, within assumptions the system is complete. However, as I am saying, one can try to make it better, for example by changing cables. Normally, Tomek uses Acrolink cables, Oyaide power cables and an Oyiade power strip. For the purpose of the given listening session, he had replaced all the accessories with Siltech products. The starting point were interconnects and speaker cables from the Double Crown series, the Ruby Double Crown power cables and the Octopus Double Crown power strip. The change was incredible. Recordings had never sounded so good before in Tomek’s system. Everything that had been characteristic for it (i.e. the power, density and coherence) remained unchanged, but at the same time all the qualities improved a lot and problems with some bass subbands were minimized (they cannot be completely eliminated), so it was hard to believe that these were “just” the cables. Since changing the speaker cable is a bit complicated in the case of Dynaudio speakers, especially when it comes to rigid fork terminals, we decided to listen to as many recordings as we would be able to, and then replace the interconnect and speaker cable with their Triple Crown versions, and again listen to all the recordings that we had already listened to. The power cables and strip remained unchanged – Siltech has not proposed their Triple Crown equivalents yet. We had also planned a curiosity for the end of the meeting. It proved to be as important as listening to the cables themselves – we tried different shield connections. 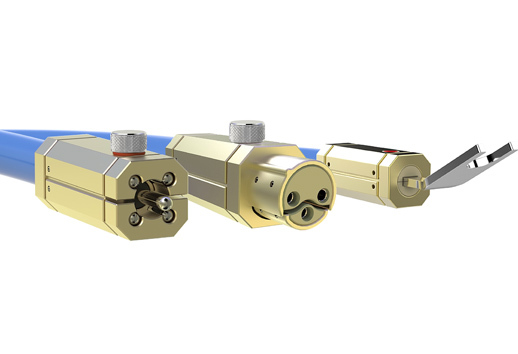 It is known that top Siltech cables make it possible to connect or disconnect a shield – both on the side of the signal source and of the receiver. I noted down the comments of the participants after replacing the original system cables with Triple Crown cables. I separately report impressions connected with shielding. What I hear is incredible – after changing the cables the sound is deeper and the soundstage is broader – it is actually enormous now. I do not even know what to say – that was an incredible change and I have to listen to yet something else to be able to form my opinion. I am moved. OK, let me expose myself: someone who has invested in Double Crown cables without listening to Triple Crown cables, has wasted the money. For me it is a classic example of “hi-fi vs. high-end”. Even if I am exaggerating, these are my impressions at the moment. The most important change is that MUSIC appeared with the TC [I could almost hear capital letters in Rysiek’s head and that is why I am using them – Editor’s note]. To me, the sound with the DC resembled the sound of music played at a stadium – it was flat and lacked depth. The TC, in turn, started playing vivid music, like in a club. For me, at least in the case of these recordings, it is an abyss. 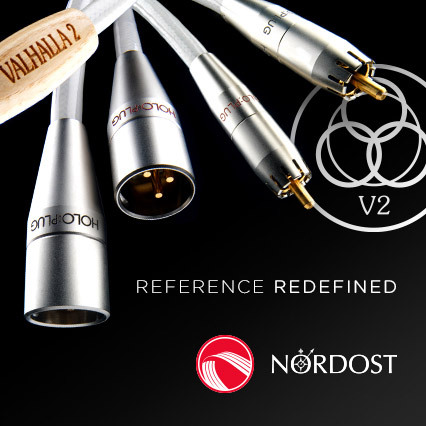 I did not feel any noticeable difference in dynamics – both cables are perfect in this respect. Dad has already written about it once – the Double Crown sounds like a crazy night in Barcelona, there was fun. The Triple Crown is, in turn, an elegant high-end supper in Rome or Paris – the top of the top. I also did not notice any special changes in dynamics – it was rather all about phrasing and tone. Paradoxically, for someone who is not an experienced high-end user and rarely deals with high-class equipment, or in the case of systems other than the most expensive ones, the Double Crown may prove more interesting and better. It is a little bit more swanky and attractive. As far as I remember, it was similar in the case of corrections introduced by the Accuphase DG-58 processor – sound was subjectively faster and stronger without it. However, only after getting acquainted with the changes one could appreciate brilliant sound with the DG-58 in a system (more about the DG-58 HERE). I am delighted with how music can “sing” and how instruments can murmur. It is because what is most important in all of this is what Gabi said – listening to music is to give us pleasure. With the Triple Crown, the musical message was natural and melodious. Nobody has said this yet, but this sound gets incredibly close to natural sound – at least this is what I hear. It is very close to live music. A good system emulates live sound, alongside all the problems that we have to face at the same time. The ability of rendering signal impulses with the TC is almost as good as live. I will say that in a few aspects I might make a mistake while listening to live and recorded sound, and I would surely not be sure which I like more. Another thing is sound equalization. With the TC everything is EQUALIZED [capitals again, just like in Rysiek’s comment – Editor’s note] and normal. Also stereo is much better than with the Double Crown. Sound with the DC (when directly compared to the TC, of course) seems to be covered with a blanket. When comparing the DC with any other cable, I would say the same thing about the latter one and it is the DC that would sound clearer and more open. In this case, the TC is much better. For me, the Double Crown had already brought my system to a level so high that I would not have expected of it. The differences between the DC and the Triple Crown are clear and there is no use deceiving anyone – the latter ones are better cables. As for me, the differences here were not as big as between my cables and the DC. I would say that it was several per cent maximum. That is why I completely disagree with Rysiek and his assessment of the DC that I do not understand at all. The DC are brilliant cables, while the TC are simply better. However, I could live with the DC and be very happy. I have to say that I was surprised with good tonal balance of the system – it lacks nothing and it does not exaggerate in any way. When it comes to the cables, one can indeed hear well that the Triple Crown brings naturalness into the system, which had not been there before. With the TC, instruments were more in front of us, in the room, and not in undefined “recording space” – here I agree with Rysiek. There were more details with the TC, but these were inner details – a thing resulting from higher resolution. Bartek has already talked about it – the Double Crown was already very good, but the Triple Crown clearly goes further and it cannot be denied. And I do not think that the DC was hazy, at least not in the sense in which we usually use this word – it neither lacked the treble, nor details. There were actually even more details with the DC.